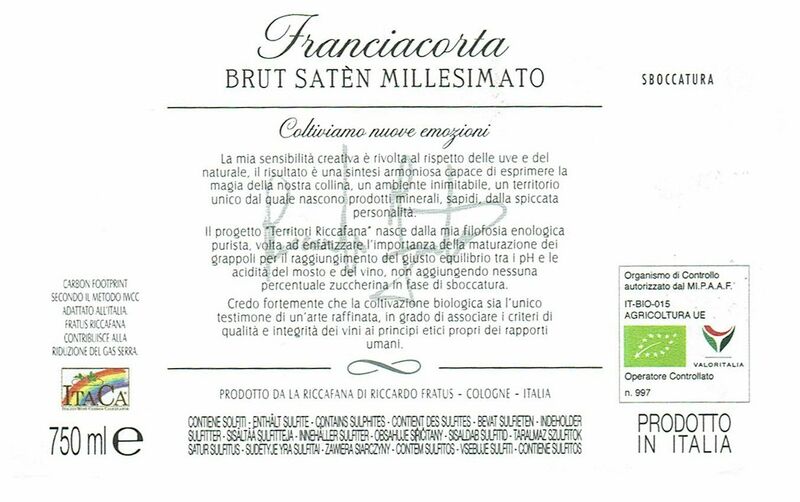 Online sale of organic Franciacorta Brut Satén Zero Millesimato Bio Buy directly online our organic Franciacorta : we guarantee a prompt delivery in 24/48 hours. 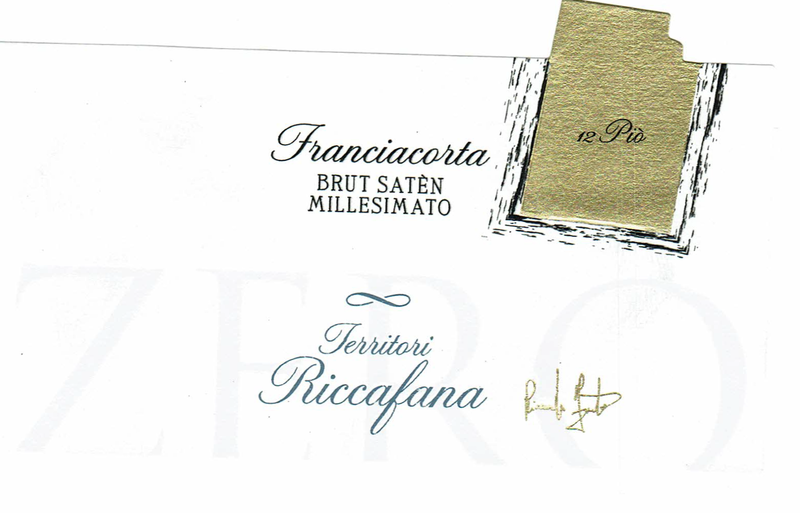 Franciacorta organic Brut Satén Zero Millesimato Bio made of 100% organic Chardonnay Grapes with an aging of 30 months on the yeasts.
" A Franciacorta Satèn zero dosage , says Riccardo Fratus, owner of the cellar, is a duty towards our landscape, Franciacorta, and in particular our Monte Orfano, which has a peculiar microclimate, by a productive realty as our cellar, that has been the first supporter of organic wine making since 2006". It's an Organic Wine , of highest quality , with a complex and ample bouquet of grassy, floreal and friuty perfumes. During it's making, we always keep an eye on the landscape and, of course, on the health of our customer. Serving suggestions: May well accompany an entire meal, preferable as an aperitif or paired with meat or fish.